Tamara Rojo, artistic director of English National ballet, has invited Frank Andersen, artistic director of the Royal Danish Ballet, together with Eva Kloborg, to recreate August Bournonville’s masterpiece, La Sylphide, a key ballet of the romantic era and precursor to Giselle. Of all the Danish ballets it is the most performed internationally. Set to music by the 21-year-old Herman Severin Lovenskiold, it premiered in Copenhagen in 1836 and has been a repertory fixture in Denmark ever since. It’s a pretty and charming period piece in which the mime is as important as the choreography. The story is a characteristic romantic conflict between spiritual idealism and carnal reality. 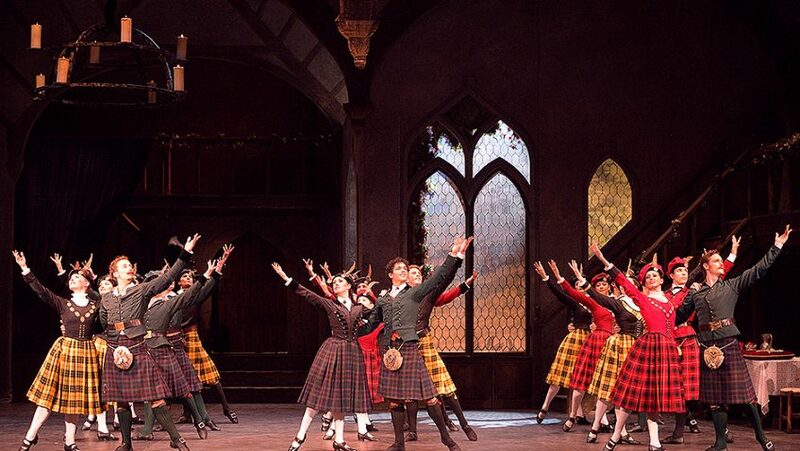 On his wedding day James (Ciro Tamayo), a young laird in a kilt, is faced with a choice between his bride (Francesca Velicu) and a flirtatious, mischievous sylph (Erina Takahashi). He chooses the beautiful and unattainable rather than the mundane and domestic with fatal results for the sylph and himself. The role of James, which was created and danced by the 31-year-old Bournonville, is for a Danish dancer the equivalent of Hamlet for an English actor. A buoyant Tamayo soars with precision. Takahashi, light of foot, is a tease and Eva Kloborg is a witch to be reckoned with. When Kenneth Macmillan said he wanted to stage a ballet to Gustav Mahler’s Das Lied von der Erde at Convent Garden the chairman turned him down saying Mahler wasn’t suitable for ballet. Mahler’s bitter sweet song cycle of six songs was created in 1908/1909, when Mahler was very aware of his own mortality. MacMillan took his ideas to Stuttgart Ballet and Song of the Earth was premiered there in 1965. It remained one of his favourite works and English National Ballet’s revival is part of a celebration of his legacy. He died 25 years ago. 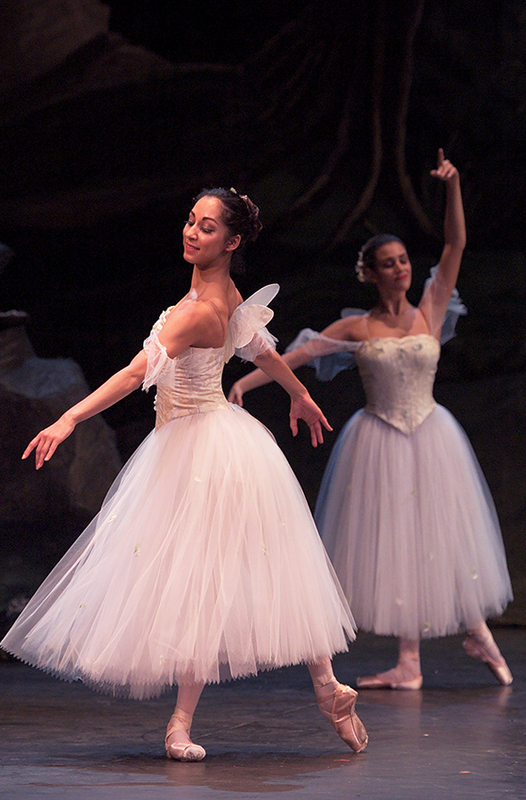 The ballet is about sorrow, loneliness, love, mortality and renewal. A man (Altor Arrieta) and a woman (Jugita Dronina) are shadowed/stalked by the Messenger of Death (Henry Dowden). The rest of the company are blissfully unaware of their own mortality. The songs are sung by contralto Rhonda Browne and tenor Samuel Sakker; and Browne in particular gives the ballet its poignancy, especially in its final stages when the trio link hands and step forward together in slow motion into eternity.